There are many reasons you may follow a bland diet. Whether your doctor has prescribed a bland diet or you simply find that acidic or spicy foods irritate your digestive system, it's helpful to understand which foods are typically included in a bland menu. If you need to eat bland, you should ask your doctor or a certified nutritionist for a list of foods they recommend. It's best not to guess at which foods are bland and which aren't, because this isn't always obvious. It's also important that your diet doesn't eliminate foods that contain important vitamins and minerals. Milk - Nonfat, one and two percent, and low-fat buttermilk. 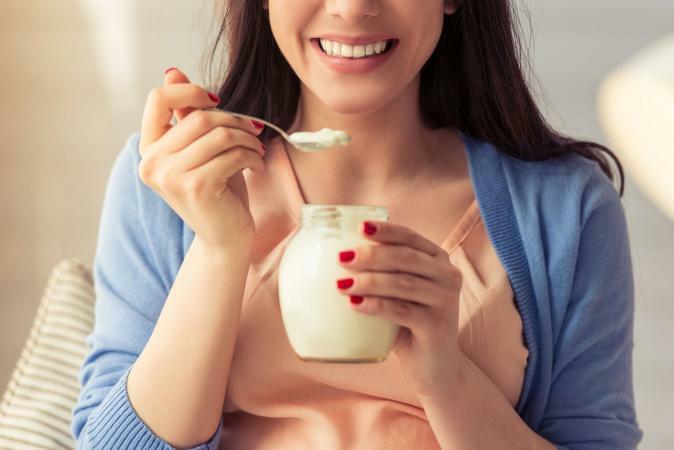 Yogurt - This includes flavored and plain yogurt, but keep in mind that certain fruits can affect digestion. Cheese - You can try all types of low-fat cheeses on a bland diet. Yellow cheeses tend to contain more fat than white cheeses. Pepper jack and similar cheeses should be avoided, as they tend to be quite spicy. Ice cream - Some bland diets exclude ice cream. Others allow it in moderation, but stick to low-fat ice cream and frozen yogurt. Avoid those that contain nuts and acidic fruits. 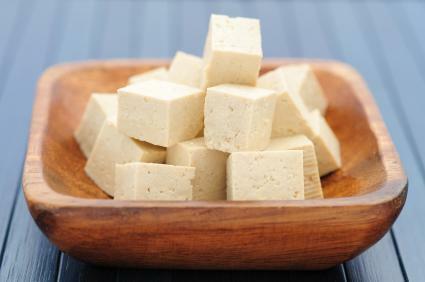 Soy products - This includes tofu, soy yogurts, and soy milk. Mild fish and shellfish - Many types of fish like herring, cod, and trout are acceptable on a bland diet. Baked and grilled meats - Some bland diets include red meat, but they usually emphasize lean cuts of chicken, pork, and turkey. Nut butters - Depending on the type of digestive problems you experience, nut butters, like peanut and almond butters, may or may not be acceptable. Check with your doctor. This particular food group can be tricky for anyone following a bland diet. For a complete list based on your particular condition, talk to your doctor or a registered dietician. In the meantime, here are a few fruits and vegetables considered safe to eat from fitness guru Jillian Michaels. Cooked vegetables - The cooking process can make many vegetables less acidic. Carrots, peas, and squash may be included in your diet. Avoid gassy vegetables, such as broccoli, onions, peppers, and cabbage. Canned fruits - Dieticians consider nearly all canned fruits acceptable for those on a bland diet. Cooked fruits are also gentler on your digestive system. Avoid seeds and acidic fruits. Fruit and vegetable juices - Mild juices from celery, carrots, and apples are recommended over more acidic juices like orange, tomato, and grape juices. White flour breads and pastas - Most diets emphasize whole grain and whole wheat breads and pastas due to their higher fiber content. However, people who experience digestive upset will want to avoid these foods and choose refined white bread instead. Low-sugar cereals - Again, you will want to choose basic cereals with no added fiber. Rice cereals and puffed cereals are good options. 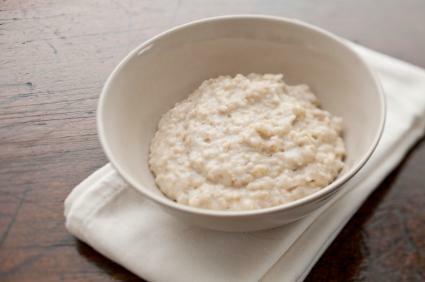 Oatmeal - In some cases, your doctor or nutritionist may suggest oatmeal. However, this varies based on your condition. Cream of Wheat may also be an option. Potatoes - This includes all colors and types of potatoes. Some herbs and spices may be inappropriate for a bland diet, especially particularly spicy ones such as garlic, red pepper flakes, and cayenne pepper. So-called warm spices like ginger, cinnamon, cloves, coriander, cumin, and star anise are common heartburn culprits. Mint may also trigger symptoms. But this doesn't mean you can't use them at all. According to the Atlantic Coast Gastroenterology Associates, pepper and other herbs and spices can be used in moderation. Unless you're on a salt-restricted diet, plain salt is a good way to add flavor to bland foods. Avoid seasoned salt and salt mixtures that contain potent spices. Most flavorings, such as vanilla extract and almond extract, are okay on a bland diet because they're used in small quantities. Stronger flavorings like citrus extracts, cocoa extract, and cinnamon extract may trigger digestive symptoms in some people. To know for sure how you'll react to a specific flavoring or spice, try a small amount alone or in food. If you tolerate it well, use in moderation. Avoid greasy foods, especially fatty meats and deep fried foods. Do not consume alcohol on a bland diet. Most bland diets emphasize soft foods over fibrous ones. This aids in digestion. Dairy products are allowed, but your doctor or dietician will likely frown upon chocolate-flavored dairy drinks and products. If you plan to switch to a bland diet, be sure to consult a medical or nutrition professional. You need to make sure your new diet will still offer balanced nutrition. This will prevent you from developing dangerous vitamin deficiencies and other medical conditions that can adversely affect your health.